Rods Bending... Reels Screaming... Big Fish landing on the deck with a Thud... 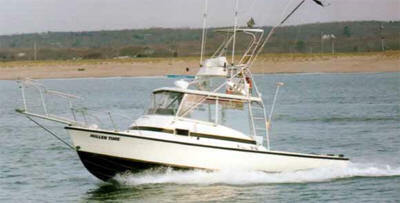 This is sport fishing aboard the Miller Time. 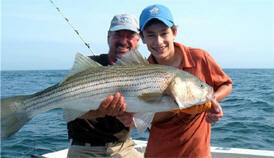 How much more thrilling could fishing be? Come aboard the Miller Time for the most exciting time you can experience. Imagine wanting to give up because you are too tired to reel in more fish. Its gotta be Miller Time somewhere!! 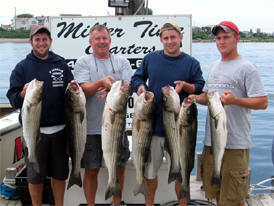 Rhode Island Fishing Charters.